Background/Info: Sacrificial System is a one-man project set up by Keith Kosmopolis. This American artist based in Chicago has released an album featuring 7 songs. 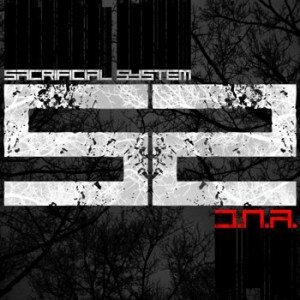 Content: “D.N.A.” is an interesting piece of music, which clearly deals with a kind of industrial EBM. I get the impression of hearing influences from early NIN mixed with 90s EBM bands reminding me of 1 AM, Armageddon Dildos and Birmingham 6. The work reveals a cool fusion between industrial guitar riffs and electronics with some powerful vocals on top. The debut part of the work sounds promising while the last cuts are less inspired. The final cut, which is a kind of ‘outro’ reveals a delicate sound approach and a different sound than the harder beginning cuts. + + + : The first four songs are pretty exciting. 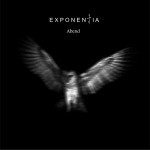 I like this powerful merge of guitar playing and somewhat 90s-like EBM reminding me of Zoth Ommog bands. You clearly can recognize harder industrial elements in the percussion and impressive electronic treatments. – – – : The 2nd part of the work sounds a bit like the artist has lost his influences from the beginning, which is a pity. With some extra experience and production skills this band could really catch a wider audience. Conclusion: From this album I’ll keep an exciting industrial-EBM exposure in mind. With some extra technical- and studio help and tools (maybe a producer) Sacrificial System could be able to break through. Best songs: “The Crusher”, “Mirror”, “Forgiveness”.